T. Urayoán Noel performs at Illinois State, February 2011. University Galleries. Photo by Brian D. Collier. The author of several books of poetry and translation, Urayoán Noel brings a satirical voice and a contemporary urban consciousness to the traditional notion that the poet will entertain and enlighten. The results, in his hands, are a well-done weird. Inevitably, they’re also compelling, and then a penny drops, and they provoke. Seen from one perspective, his 2010 collection Hi-Density Politics (Buffalo: BlazeVOX) represents a shift from Noel’s earlier work. Its greater emphasis on process and constraint yields a new experience on the formal level, particularly where Noel has used new technologies to produce his teeming metropolis on the page. Yet Hi-Density Politics offers all the more when considered as an extension of his previous books, published in 2005 and 2008. Noel’s playful takes on language, references to Puerto Rican culture, deep engagement of critical dialogues around island and Nuyorican poetry, and commitment to performance spring into relief. Taken collectively the books produce a historic meditation that collides with, and intensifies, the frenetic energies emphasizing the immediacy of urban life in Hi-Density Politics. Noel’s second book, Boringkén (San Juan: Librería La Tertulia / Ediciones Callejón), follows through on that promise of a thickly bilingual writer who challenges both sides of the divide by refusing to keep his cross-cultural performances segregated. It also asserts a contemporary moment in collision with its own historical trajectory. This move potentially opens up the poems to a whole set of readers interested in hemispheric history, and in Puerto Rico in particular. The risk, of course, involves losing those who lack that exposure and don’t care to get it. I’m of the opinion that it’s worth learning something new to read this poetry — as one more way to access its many layers of intelligence — so I’ve included shards of context here. Boringkén, the title of this 2008 book, refers to the term “Borinquen”: the name for Puerto Rico once used by indigenous peoples, as their word was transcribed into the Spanish language during colonization. The name is recorded quite early on through its use by Juan de Castellanos (1522–1607) in an epic poem about the Americas, prominent more for its great length and useful subject matter than artistic mastery. Another name recorded in this same epic poem is Urayoán, a cacique (Native chieftain) who carries out the experimental execution of Spaniard Diego de Salcedo in order to prove that Europeans are mere mortals, thus illustrating that the conquest of the Americas consists of acts that are human and not divine, which in turn signifies that indigenous peoples can put up resistance to them. The term “Borinquen” and the image of Urayoán have been recuperated in the contemporary period by new generations of activists and writers, so the cover of Noel’s book alone invokes five hundred years of history — poetry bursting with epic proportion. Rather than solidifying the sense of epic inside the book, though, Noel dismantles it. He deconstructs his title, turning it into plays on “boring” and “ken,” on the ever-iconic Barbie and Ken, and all manner of puns and wacky sound-based riffs. The pleasure he takes in sound is reminiscent of Edwin Torres, and I’m also reminded of Torres’s interest in creating a “No-ricuan” world (which, among other things, might be paraphrased as the Zen inhabitation of Boricuan conceptual landscapes). Noel has collaborated with Torres on the performative interventions of Spanic Attack, further suggesting useful overlaps. Emphasizing the interest of performance, as in the earlier packaging of Kool Logic / La Lógica Kool, Boringkén comes with a companion CD that explores the use of audio and new media tools for drawing out performative elements lost on the page. These prefigure his performative uses of his newest book, on which I’ll expand later. Another factor uniting Noel’s three books, which suggests links back to predecessors like William Carlos Williams, is the hemispheric vision he brings to his poetic explorations of American cities. It’s a longstanding convention in Latin America to refer to the “lettered city” of modern life. Noel, who takes a keen interest in handmade objects produced by international avant-garde movements and enjoys making collaborative art object-books, wants to know what poets have been doing in marginal zones, in the back alleys and little workshops of the symbolic city: talking about their favorite cult books, making chapbooks from recycled cardboard, collaborating with visual artists to produce small handmade editions. They produce these low-tech objects, seeking to keep the final product inexpensive, in the tradition of the little magazine. Still, their environment is complex: while making low-tech handmade editions, they’re increasingly likely to be interrupted by someone’s Blackberry or smart phone. 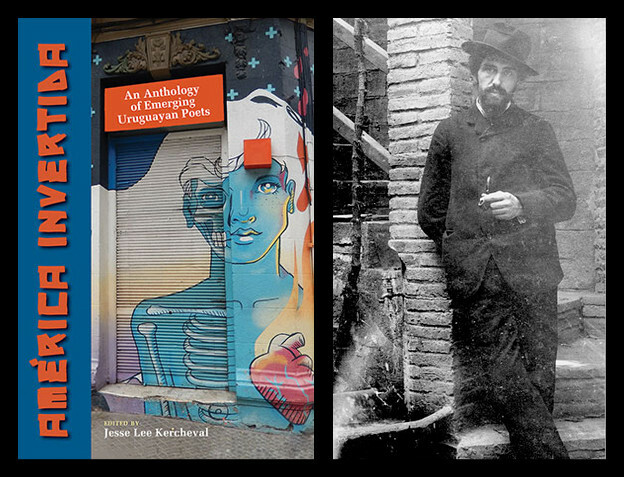 Poised between the old and the new, these poets work in Mexico City, Mexico; Lima, Peru; and Buenos Aires, Argentina. And again, they are also in the USA: in New York, in San Juan. Noel brings the hemispheric scene back home to the nation, to the metropolis on its mainland and the urban life of the colonized island. It may be tempting to call Noel “Nuyorican,” for a variety of reasons, one being that this term has made it into the US critical lexicon. However, it’s not strictly accurate. Noel was born in 1976 in Puerto Rico and lived out his formative years there, so New York is not the community of origin, meaning that the island must be asserted differently. Thus I am writing, technically, about a thoroughly American writer, but one who happens to have been born in San Juan, Puerto Rico — an other American city, long left off the maps of the mainland and consequently out of our knowledge bases about “American culture.” While activists have explored platforms for independence and resisted the nation’s colonizing embrace, another facet of this problematic involves the reluctance of mainstream US culture to acknowledge that Puerto Ricans have a significant place (resistant or otherwise) in the nation’s history. Noel builds on this vision to explore the state of statelessness in each of his books. Sometimes he pauses to mark its political contours; more consistently, however, he uses poetry to move through artistic and linguistic veins opened by the political register. The concept of utopia that he credits to Hernández Cruz sets up the possibility of a fertile space, one which by definition can only ever be imaginary. As far as Noel is concerned, this Puerto Rico of the mind simply begs to be explored by the bohemian Rican, adapting Ginsberg’s attitudes to his own field of vision. Noel’s second book, the one entitled Boringkén, opens with a suggestive quotation. It is a line from Luis Muñoz Marín (famous as the architect of modern Puerto Rican society): “I have lost you in a fog of perfect words.” In the larger context of Noel’s work, this recycled admission appears to be addressed to the island itself. The nation’s loss then allows (and requires) it to be configured and reconfigured through the imagination. The term “Nuyorican” is useful for tracing the lineage of Noel’s poetics — not because Noel claims this identity for himself, but because he responds directly and extensively to the Nuyorican literary tradition. The word combines “New York” with “Rican” to indicate people living in the metropolis of the mainland United States, marking out a diasporic positionality. As critic Maria Damon emphasizes, the term Nuyorican is “understood to contain multitudes”: Puerto Ricans have a historically rich mix of ethnic identities on the island, reflecting the complexities and discontents of hemispheric history, even before immersion into the diaspora’s cities. Afro-Caribbean identity, for example, has an important if historically contested place in island life. Anthropologist Jorge Duany emphasizes another form of complexity: where migrations to the mainland are concerned, Puerto Ricans have been less likely to carry out permanent and one-way moves than to pursue comings and goings, a fluctuation. These complexities have been productive for literary culture. In the last half of the twentieth century, as is now well known, Nuyorican poets created a dynamic cultural movement, organized that now-famous poet’s café in New York to support art as a community, and gained national recognition for US Latino/a poetry after publishing their first anthologies in the 1970s. Noel takes the fluidity of Puerto Rican populations as a point of great interest. In his creative writing, he riffs off the diasporic texts and performances from his position as a Puerto Rican writer raised on the island and now living in New York, though in a significantly different way and moment than the Nuyorican writers he highlights. Noel was based in New York for many years as an adult and now moves back and forth between Albany, where he works, and the Bronx, which feels like more of a home and creative base. Noel revisits Pietri’s most famous poem, “Puerto Rican Obituary,” in his 2008 collection. Pietri’s work is a classic originating doubly, once in its performative incarnation during the Young Lords’ establishment of the People’s Church in New York and once on paper via Pietri’s book (of the same title) in 1973. It features four emblematic characters: Juan, Milagros, Olga and Miguel. In Pietri’s poem these working-class figures compete with each other for status and die dissatisfied with their lot in life. Pietri urges them to break out of a mindset he sees as politically ineffective and build a new, more independent and historical consciousness, one that requires renegotiating their relations to the island. By touching down on this historic poem, Noel asks questions about what it means to be living in the language environment of our new millennium, a fascination that comes to unite many poems in Hi-Density Politics. This critical question about what today’s economy means for the conditions of everyday life is one of many rewarding pairings that becomes visible if we read Noel’s books as a step-by-step poetic interrogation of life on the island and the mainland. More specifically, it’s clear from the above excerpt from “Down with Boringkén” that Noel was dwelling on the notion that “Puerto Ricans in the United States are caught up in a process of ‘transition.’” It’s a point articulated decades ago by sociologist Juan Flores and fellow scholars, who explored relations between literature and society as they sought to create respect for the cultural work done by Nuyorican writers. Noel’s poem pauses on their statement, “We must ask, transition to what,” treating this idea (originally published in an article in a 1981 issue of Daedalus) as one still pressing for writers in the new century (212). His poems from Boringkén and other books also respond to their identification, in the conclusion to the same 1981 article, of a “backdrop of persistent inequality and commercialist distortion” confronted by Puerto Rico’s diasporic writers (213). Even as one may open up to visions of a greater fluidity, these tensions endure. Another dynamic layer of Noel’s earlier books that will continue into Hi-Density Politics emerges around his adept uses of performance. His use of rhyme can be ironic or ridiculous on the page while also setting the stage for a delivery that wakes up the room, particularly if delivered with hip-waggling to a Casio-keyboard soundtrack. Hi-Density Politics is, like his earlier books, imagined in relation to performance, but in experimental ways that may not be immediately obvious to readers from the page alone. Reviewer Rebecca Mablango-Mayor calls Noel “the next in a generation of beat poets and performance artists willing to take themselves and their work as seriously and as unseriously as possible.” Pursuing the question of how humor can enhance performance, she found that in the 1990s, while he was in New York, Noel decided that “rock language, with its sense of disposableness and immediacy, could deflate the grand gestures of formal poetry and provide a moral voice to his poetry.” I would add that Noel’s self-designated “bohemian” side opens out into many kinds of experimentation into how the body of the performer can do its thing. It is a physical parallel to his scholarly research into how diverse Nuyorican poets have done theirs. Working with a band, he has tapped into punk and other urban, counter-cultural styles. As this turn suggests, he rejects some aspects of mass culture in favor of resistant takes — for example, he embraces low-budget approaches and refuses to conform to the boundaries of television-friendly artistic styles. His 2010 collection may in some ways seem more critical of established Nuyorican poetry conventions than anything else, perhaps even striking at the initial parameters through which the broader framework of “Latinidad” has gained ground in US literary publishing in recent decades. Expectations that the poet’s task is to “represent” a group identity, whether such ideas may exist in conscious or unconscious ways for audiences, are registered and critiqued. In the first poem of Hi-Density Politics Noel’s persona claims to be “rocking the identity cutout,” a phrasing that sounds ironic, ambivalent at best, about stagnant performances of identity (“HI THEN *salutation+,” 67). This “cutout” line may perhaps be read as a disclaimer, informed by the sort of concerns about commercialist distortions previously noted by Flores et al. The same poem makes reference to juggling loyalties and suggests that art can become opposed to community, then asks whether poetry itself becomes the community (58, 59, 60). To some degree, then, Noel risks breaching sensitive boundaries around the relation between identity, imagined community, and the success of art forms he hopes not to re-inhabit, such as more commercialized and institutionalized variants of slam and spoken word circuits, and the pages of anthologies as framed in prior decades. He also writes from a semi-outsider position that does not take acceptance into a putatively Nuyorican world for granted or aim to become its next representative face. Like Boringkén, that is, Hi-Density Politics dangles the option of epic before us, then sets about happily dismantling and repurposing any components of which epic might have been composed. However, dwelling on signs of ambivalence and breach alone could also cause Noel’s poetry to appear overly dismissive of other poets or assertions of Latino traditions, in my representation. In fact I think it would be a naïve misreading to over-emphasize signs of disaffiliation in the critiques posed by Hi-Density Politics, especially if we overlook the plethora of signs of engagement (visible through Noel’s criticism, representing commitments of many years, as well as his poetry). This book may be critical and indeed, avant, but it is so in a particular and conscious way that treats ethnic canons, working-class expression, community activism, performative poetries, and the artistic possibilities of historical knowledge with respect. So the question becomes: how is it significant that his persona’s 2010 salutation — a sort of manifesto encoded in terza rima — throws down the following critical challenge? Find the voice that poems — that disjoints! This figure prods the audience to inhabit spaces of contrast, seeking not stasis and certainty but sites of negotiation and provisional balance between positions — and sites of risk, where dismantling must be part of the process. Noel’s ongoing attention to the number three in Hi-Density Politics suggests a link to third spaces: places neither here nor there, therefore somewhere else and escaping oppositions. One poem, for example, thematizes that number three about as emphatically as it could be done: it consists of 333 numbered phrases, each containing three terms. A third space may be a site not captured as a state, offering the disembodied pleasures and “sovereignties” of utopia. It merges into the many possibilities offered by the city of Hi-Density Politics, which as Sueyeun Juliette Lee observes, is both actual and virtual, “a space of hybrid possibility and discursive play.” Liberating as this map may be, the city as technological space is not freed of history in its changing present, but sutured to it. give it up for the bodies of the moment! The determination to be provisional and unrepresentative links Noel into avant-garde circles embracing the marginal and the small. At the same time it returns him to diasporic literary concerns about interrogating one’s position with regard to multiple locations, among them markets and their historical bases, as well as the island perpetually “on the move” (Duany’s central metaphor). Noel, it seems, has a deep interest in the ways all of us are necessarily complicit in the circuits we inhabit; at the same time he is not exempting himself from the responsibility of developing a critical vision, even if it is necessarily developed (like that of another canonical Caribbean writer, José Martí) during residence inside the belly of the beast. Writing processes he designed for the new collection explore the impact of new technologies on the movements of language. His emphasis on circuitry in the poems suggests to me that it’s worth pausing to review the circuits he elects to inhabit with recent projects. Noel invites his audience to join him on his symbolic tour of the hemispheric Americas experience. Recently he has participated in the cartonera movement that connects San Juan to Mexico City, Lima, Buenos Aires and more. As a translator, he has brought recent work by Edwin Torres into Puerto Rico in a spunky, bright green cardboard edition produced by Atarraya Cartonera. Atarraya’s website includes photographs of the making of cartoneras, as well as links to other organizations producing these low-budget interventions around the Americas. With Hi-Density Politics Noel also joined the ranks of poets allied with Buffalo’s BlazeVox Books, linking its rust belt sensibilities into the hemispheric circuit where he carries out his experiments in process and constraint. One poem in the new book emerged out of the question, “How does an English-only voice recognition application on a Blackberry interpret phrases spoken to it in Spanish?” Noel took the rich, complex Spanish of poems from César Vallejo’s Trilce, read them into his Blackberry, and wrote down the English phrases the Blackberry “heard.” The writing by Vallejo (Peru, 1892–1938) is resonant, somber, lovely, all the more so when it breaks with aspects of formal syntax. Because sound recognition software is programmed to engage phrases widely used in today’s computing environments, Vallejo’s words reappear in absurd and fragmented terms. Boca del claro día que conjuga. Lack and add levels said no kidding. Who could say that this homophonic, apparently nonsensical “translation” by the Blackberry has not caught some tangible history in its nets? When Noel then turns his printed version of “trill set” into a score for a performance, two readers can produce a multifaceted experience. One plays a sort of straight man, inhabiting the sounds and spirit of Vallejo’s originals. The other provides the absurd and engaging contrast regarding “global sound” as produced through the Blackberry’s limited perspective. Having played the Vallejo role partnered with Noel’s (non)global Blackberry voice in a February 2011 reading, I can testify that it draws engaged laughter from an audience — and the person attempting to voice Vallejo’s original Spanish while keeping a straight face takes a bath in cognitive dissonance. The results are energizing. Afterwards listeners shared reactions with me. Most said they found the presentation of this poem unexpectedly funny and laughed with everyone else at the time. (One of my students added that Noel’s performance persona is that of “an Energizer bunny”: he hops around, winding everyone up.) A common reflection that followed was that Noel’s work on the page really does function as a script for performance. Several people then went further to reflect on the relationships this poem illustrated between English and Spanish, as those are shaped today by the communicative devices and applications with increasing influence in everyday life. These listeners said, ultimately, that “trill set” isn’t funny, not at all: its very awkwardness represents the grace of an effective provocation. By contrast to the live performance, the poem-score’s initial appearance on the page of Hi-Density Politics — like other entries in this particular book of experimentations — could be largely opaque to a reader. Noel’s explanation of the writing process, which he provides in an “Acknowledgements and Notes” section at the beginning of the book, is helpful. Even with insight into his processes, though, Noel has written a challenging text. His inventiveness with language surfaces quite clearly — Rodrigo Toscano is right to refer to this book as “furiously cute” in his blurb. But what of other layers of meaning on the page, so often required to seduce audiences into a second and third reading? In Hi-Density Politics he flirts with moments of unmeaning and unperformability, especially for audiences who can’t see a live performance bring the page to life, or for those who do not find a poem written in threes fascinating. It’s likely to be even more challenging for those who haven’t read much Puerto Rican or Nuyorican writing and will thus miss his rapid spinouts into context and traditions. Yet from these scores he draws performances that can be comprehended on several levels at once, contradictory as the audience’s experience of language can be. Better said: Noel has a rare gift for using poetry to perform contradictory states in language. Some of his themes should be recognizable, if via fragments, to any contemporary reader who uses the Internet or reflects on economics. With a little more effort — say, by looking up the link about Guánica that Noel offers in his process notes — one can see that his pleasurable language gaming ties into historical issues at stake in this book. Meaning, like the island itself, shifts in and out of sight. 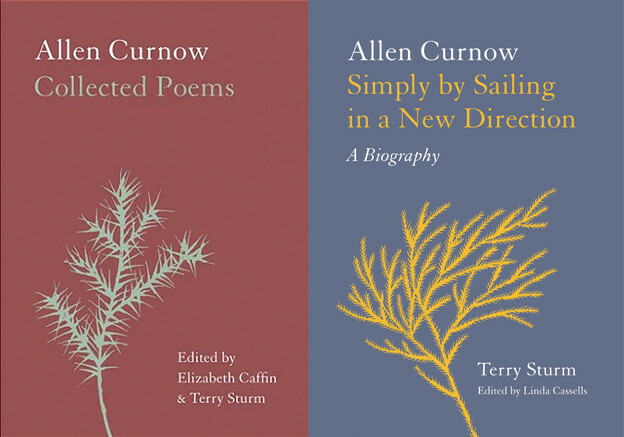 Through this very cycle of contradictions (meaning/unmeaning; appearance/disappearance; historicity/immediacy), the poems pull history to surface: that is, like the texts, history manifests on the horizon of the page in the form of a process. Who can see what, and what do we choose to see? A critique inciting us to confront inequalities of global vision from the inside, Noel’s vivid and layered Hi-Density Politics invites us to give our own fine retro-pop dismissal to a long stupid history: to a specifically literary stupid history: to that archival vision in which US Latino and island poetries, and the sophisticated issues they engage, were so long ago and far away! as! if! invisible. The book proposes that an ongoing shift in optics move not only toward greater visibility, but toward a visibility in living color and motion: one complex enough to sustain debates and multiple positionalities within and across communities, while remaining open to sites and bodies as yet unimagined. This challenge to the audience to operate in post-invisibility modes, while dodging traps of stasis and violence that can accompany visibility, may be the highest-density element of Noel’s utopian poetics. Noel advertises the point that his hi-density politics make for difficulty up front. His salutation/manifesto, welcoming the reader to his own personal city on the page, scans across a spectrum of thorny images and tensions. The debates he draws into the body of the poem fulfill the promise that the book’s terrain will be constituted as an irreverent, dynamic urban space, one that does not want to be fully apprehended. As urgent as the day — an urgent fading. It’s an elegant, surprisingly holistic advertencia, at once a notice and a warning about shifting ground: the nature of the writing to come. Author’s note: In addition to the publications cited below, I would like to thank T. Urayoán Noel for answering many questions I asked him during his visit to Illinois State University on February 23–24, 2011. His replies, as well as a class session he led, influenced my remarks situating his work. He also translated the excerpt from “Down with Boringkén,” cited here, at my request. 1. Francisco Aragón, ed., The Wind Shifts: New Latino Poetry (Tucson: University of Arizona Press, 2007), 8. 2. 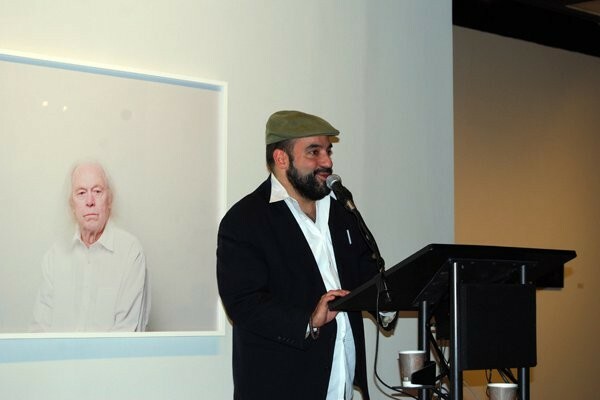 Francisco Aragón, Ray González, María Meléndez, Urayoán Noel, and Lidia Torres, “Restless music and ticking bombs: Five poems of Victor Hernández Cruz, interpreted,” the Poetry Foundation. 3. Maria Damon, “Avant-Garde or Border Guard: (Latino) Identity in Poetry,” American Literary History 10, no. 3 (Autumn 1998): 486. 4. Jorge Duany, The Puerto Rican Nation on the Move: Identities on the Island and in the United States (Chapel Hill: University of North Carolina Press, 2002), 2. 5. For a brief, useful overview addressing related issues in earlier decades, see Edna Acosta-Belén’s article, “Beyond Island Boundaries: Ethnicity, Gender, and Cultural Revitalization in Nuyorican Literature,” Callaloo 15, no. 4 (Autumn 1992): 979–998. 6. The Café and other Nuyorican projects opened their doors to writers of diverse backgrounds. When speaking of the range of cultural work these projects have accomplished as a whole, and over time, Noel acknowledges both ethnic and cultural variants on Nuyorican identification. 7. Duany, The Puerto Rican Nation on the Move, 29. 8. See images here; quotation is taken from Pietri’s 1994 Manifesto. 9. Duany, The Puerto Rican Nation on the Move, 2. 10. See a video of Pietri performing the poem here. 11. Juan Flores, John Attasini, and Pedro Pedraza Jr, “‘La carreta made a U-Turn’: Puerto Rican Language and Culture in the United States,” special issue, Daedalus 11, no. 2 (Spring 1981): 212. 12. Rebecca Mablango-Mayor, Review: “KOOL LOGIC: LA LOGICA KOOL by URAYOAN NOEL,” May 22, 2007. 13. Sueyeun Juliette Lee, Review: “Hi-Density Politics: Urayoán Noel,” The Constant Critic, March 14, 2011. 14. See César Vallejo, Trilce, trans. Clayton Eshleman (Hanover, NH: University Press of New England, 1992). Eight poems from the manuscript "Lingua Franca"
"Coño acere, todo se vuelve agua!"